David Farmer, EIS publicity officer in Fife. The EIS teaching union fears the proposals to bring tutors into the classroom to cover some courses is being used to justify cutting promoted teacher posts. Fife branch secretary David Farmer also expressed concern that proposals for a super campus in Dunfermline to house two high schools, as well as Fife College, will lead to fewer teachers, claiming mergers are inevitable. The council said it has worked with a range of partners to ensure opportunities for young people. Head teachers at the region’s 18 secondary schools have been told to find savings of £1.3 million this year. Among the proposals is the loss of 25 promoted posts this year, with the same again the following year. The EIS has already criticised the situation, saying it would result in increased workloads and stress for teachers. An indication from the education service that college tutors who are registered by the General Teaching Council could be brought in to cover some business education classes has provoked further concern. Mr Farmer said: “The business education post at Queen Anne High in Dunfermline has been deleted. 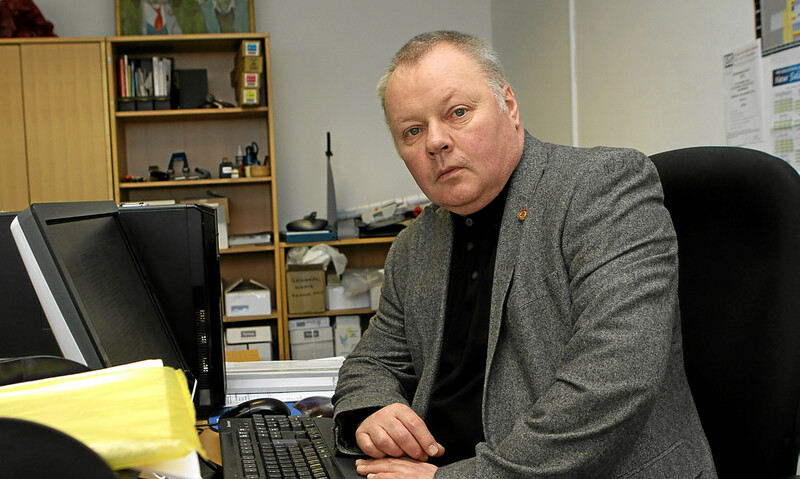 “If kids choose business education tutors will have to be brought in from Fife College. “I don’t know what the proposals are for paying those tutors but if it’s zero hour contracts then it’s a cost cutting exercise and a way of appearing to offer the same subject but not really paying for it in the same way. “If it comes under their college contract there’s a concern over how the review process would work at the end of it. Councillor Kathleen Leslie, the council’s Conservative group education spokesperson, shares the union’s concerns. “Is this a way to reduce teaching staff and get a cheaper option?” she said. But Peter McNaughton, head of education with Fife Council, insisted children are being provided with a “rich range of opportunities and experiences”. He said: “We continually seek to ensure that our children and young people get the best and most appropriat, educational opportunities and outcomes. “Through Curriculum for Excellence, as developed in schools across Fife and nationally, our schools seek to ensure that all of our children and young people have a rich range of opportunities and experiences, including inputs from a range of partners and professionals.